20 IAF aircrafts, including AN-32 transport, Mirage 2000 and Sukhoi 30 MKI, will land on the Lucknow-Agra Expressway in an exercise on October 24. 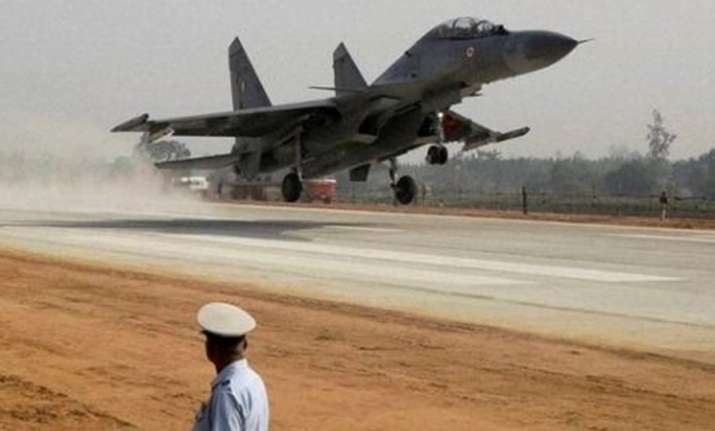 Twenty aircraft of the Indian Air Force (IAF), including AN-32 transport, Mirage 2000 and Sukhoi 30 MKI, will make a touchdown on the Lucknow-Agra Expressway on October 24, an official said. A traffic blockade will be put in place from October 20, to prepare the highway stretch for the event. The IAF will be conducting the aircraft touchdown exercise on the Agra Expressway near Bangarmau in Unnao district, according to PRO, Defence (Central Command), Gargi Malik Sinha. In all, 20 aircraft including AN-32 transport and fighter planes like Mirage 2000, Jaguar, Sukhoi 30 MKI will take part in the exercise, Sinha said. The aircraft will land and then take-off from the expressway, she said. "It is for the first time any transport aircraft will land and then take off. The AN-32 are meant for humanitarian assistance and disaster relief during floods or any other natural calamity. The aircraft can bring a large amount of relief material. It can also help in evacuating people," Sinha said. The landing and take-off exercise will be held on October 24, but a traffic blockade will be in place from October 20, as decided by state government authorities to prepare the stretch for the event, she said.